Any Affiliate Program manager can attest to the fact that running a successful Merchant Program is sometimes hectic and stressful. However, they will also say it can be immensely rewarding, especially as you see Affiliate partners finding success and bringing new customers and sales. However, no one can simply stumble upon this success. It comes by developing sound strategies to help you get there. When you’re trying to build an Affiliate Marketing Program from the ground up, it can be a test of patience to watch your traffic grow and to build new influencer partnerships. Affiliate Marketing is a unique channel from the other traditional channels. When program managers become frustrated, they often turn their back on the program and usually the industry as a whole. Don’t get frustrated! ShareASale has tons of tools available to Merchants, making it that much easier for you to manage the program and giving full customization to the program as you see fit! You are able to write your own terms that Affiliates must follow therefore giving you the control over who is allowed to be a part of your Merchant Program. Easy to read reports like Your Affiliate List break down the list of Affiliates in your Merchant program by the sorting order of your choosing. 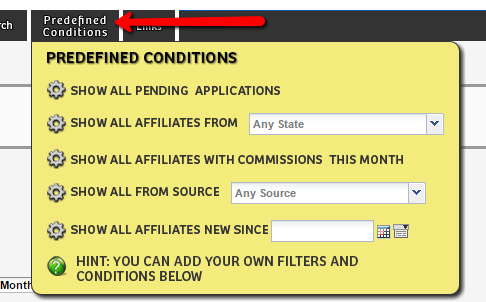 You can use predefined conditions to do a deeper, more intricate search of your Affiliates or even build your own conditions! Let these tools help you find any Affiliates that may be causing issues in your program. You will be able to contact them and try to resolve the situation. If that doesn’t work, just remove them from your program altogether. Using this report’s statistical information, you can also find your strongest performing Affiliates within your program so that you can give them a little extra bonus for all their hard work. Personal Branding is all about your unique promise of value and what you bring to the table. It’s (also) about getting your potential clients to choose you as the only solution to their problem. 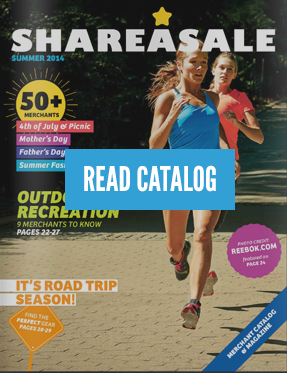 Your retailer’s branding will be on display the second you go live as a ShareASale Merchant. You will have been asked to provide creatives and a logo file, as well as a description about the company and most importantly, a commission rate! For instance, you are a Merchant who sells trendy fashion items that appeal to women between the ages of 18-40 years of age. Your brand is sold in major department stores across the United States and you have had good word of mouth success regarding the quality of your clothing. You have decided to try your hand at Affiliate Marketing using your own brand’s website. You quickly notice that the Affiliate sign-up’s and the sales you expected to roll in and Affiliates flocking to sign up with you just isn’t happening, how could this be? Working with a ShareASale team member, we can take a closer look at your account and see that your commission rate is quite low compared to similar brands in this category! You notice that you also have a lack of creatives available to the Affiliates. It’s time to think strategically! You can sign up for a free Affiliate account and look at your competing Merchant programs to see what they offer. What changes could you make that would make your program more valuable in the eyes of Affiliates? What solutions can you offer them the other Merchants cannot? We can offer a multitude of creative solutions for your program: datafeeds, coupons and deals, featured placement spots within the Affiliate’s interface, a spot inside our Merchant Lookbook, and so much more! 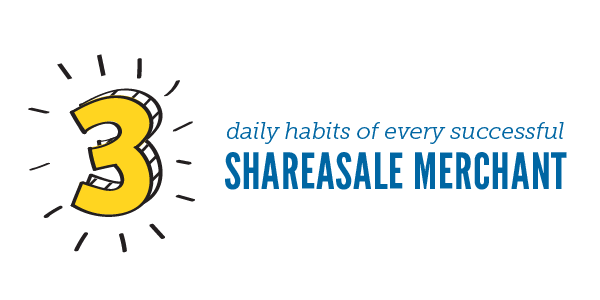 Strive for success and you may find yourself placed in the Top 100 Powerrank Merchants on ShareASale.com, a spot that will definitely have you seen by countless Affiliates in our network! 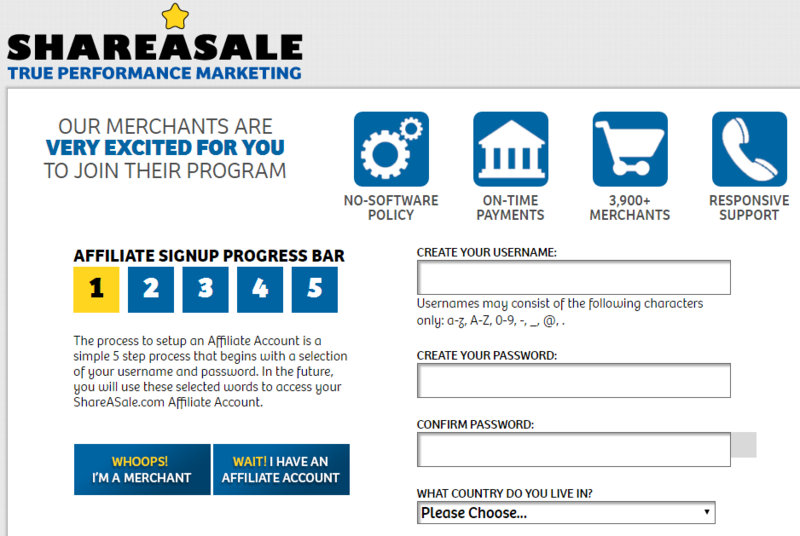 Using your branding and ShareASale tools can create a variety of promotions for your Affiliate Program. Set yourself apart from similar Merchants, both in the value you offer Affiliates and the strategic decisions you make in regards to creatives, deals, commission rules and more. Strategy must have continuity, it can’t be constantly reinvented. To avoid any type of excuses once your Merchant Program is rolling along, you need to have specific strategic goals laid out and set for yourself and your company. It’s very easy to get caught up in the various influencers from other networks, agencies and Affiliates themselves as they pull you this way and that, giving you suggestions on the best possible course of action for your program to make money. If you have a well thought out, actionable plan and the goals that are attainable, yet still challenging, then you won’t be swayed from your Affiliate Marketing Strategy. As the above quote says, make sure your strategy has continuity. A consistent experience for your Affiliates over a long period of time brings positive word of mouth promotion to other Affiliates as you will soon be recognized as being a strong Merchant Program to join. Make specific goals, once they are reached, set new ones similar to the old but on higher levels. Don’t give up! 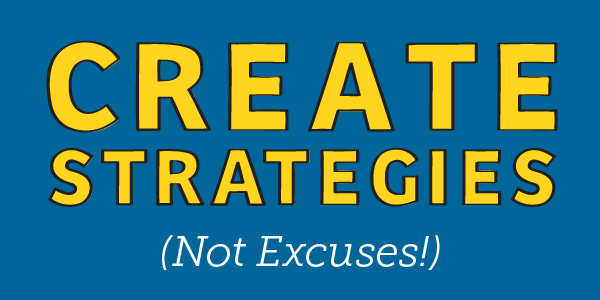 Create new strategies, not excuses! 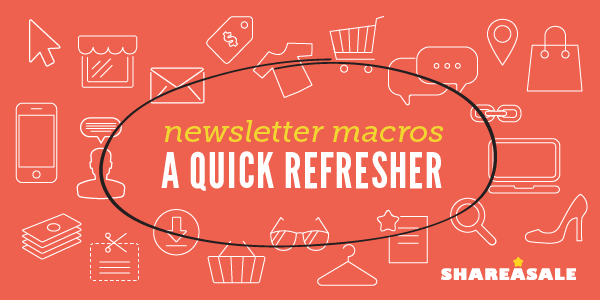 It’s been a few years since we discussed our Merchant Newsletter tool here on the blog, so we thought it would be a fine time for a quick refresher and overview of how the macros inside the tool work to make it simple and quick to send a great newsletter to your Affiliates.